Trying to fix lens distortion is tough. It seems that by fixing one part, another area distorts incorrectly. Pretty soon, it is more confusing than improving the overall image. Thankfully, Camera Raw 6 included in Photoshop CS5 now makes this task easy by preloading hundreds of lens profiles. 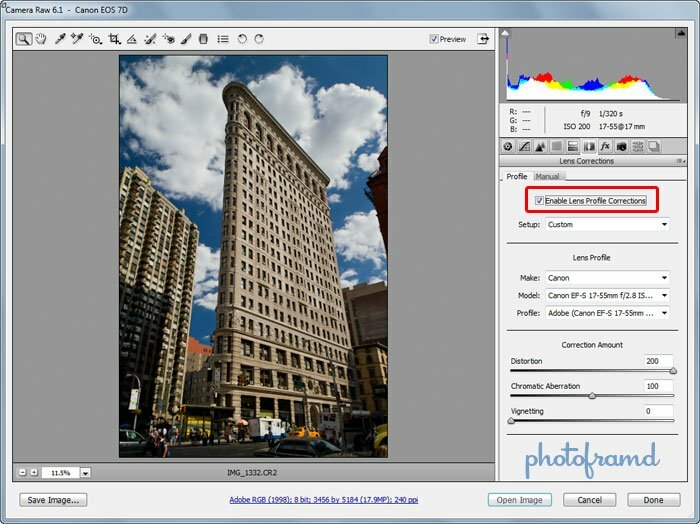 In Camera Raw 6, click on the Lens Correction tab. You will see the Enable Lens Profile Correction option is not enabled. Simply check this option, and CR6 will compare the Make and Model of the camera lens in the Metadata with its loaded profiles. You can then further adjust the Correction Amount with the sliders. 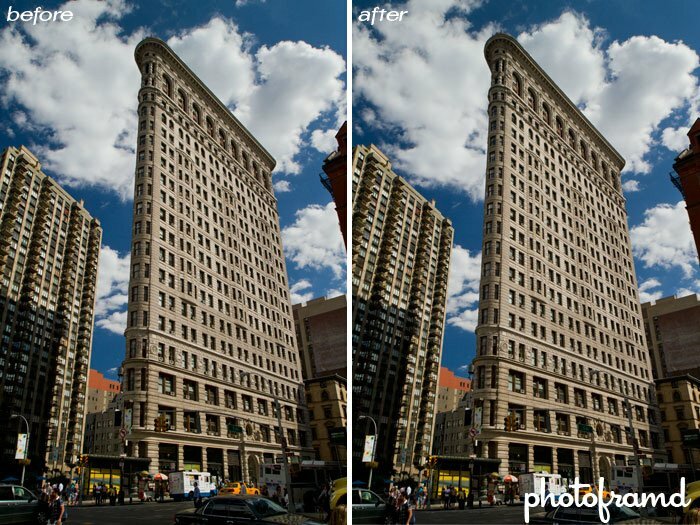 In the above photo, the Distortion needed an extra boost to remove the bulge from the middle of the Flatiron Building, but the Vignetting was fine. Since these setting are just stored as additional settings to the Camera Raw File, they can be enabled/disabled on the fly. Looking at the Before and After images at the top of the page, the differences are very subtle. But, it you look at the two images compared below, the differences are more obvious. 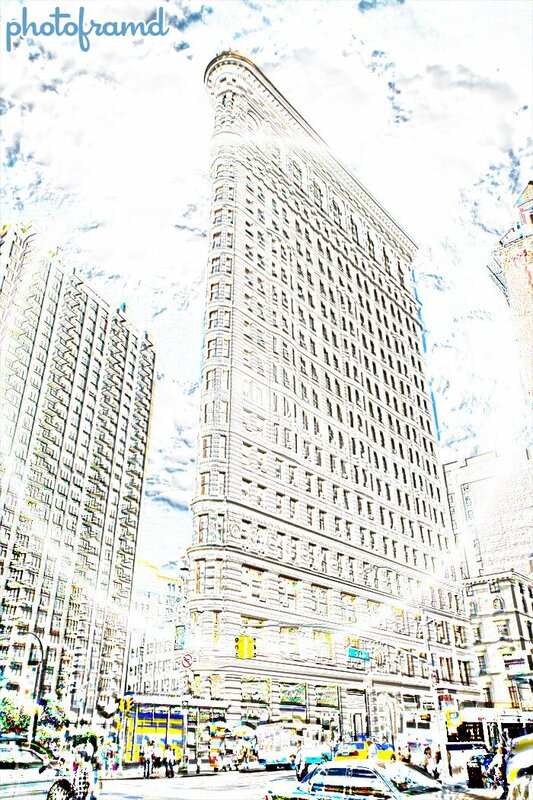 I placed the Before and After images over each other in Photoshop CS5 and set the Blending Mode to Divide. You can see the image shift at the top and the bottom of the image while the center is shifted inward. Trying to accomplish this type of correction by hand would be very tough. Camera Raw 6 makes it very easy. Not every image will need this type of correction. But, for extreme wide-angle shots like the above photo, it provides a subtle but substantial improvement.